Few scientists, even famous ones, can pinpoint a day that changed not only their own life, but the entire direction of research in their field. One such scientist is Foundation Scientific Council member Nora Volkow, M.D. About 25 years ago, at her lab at Brookhaven National Laboratory on Long Island, she realized while examining images of people’s brains that she was able to determine if a person was addicted to a drug. This scientific surprise reverberated in medicine and society. As Dr. Volkow remembers, “no one at that time thought the frontal cortex was important in addiction—nobody!” At the time, leading theories linked the compulsion to take drugs with “the limbic brain”—structures outside the cortex usually associated with our “primitive urges.” The frontal cortex is considered the home of higher-order processes such as thought, language, and executive decision-making. The discovery about frontal cortical dysfunction in people with addictions was a crucial step in transforming how society views addiction. Rather than look at addicts as moral failures or weak-willed pleasure-seekers, informed people began to understand that they were people with an illness, a biological dysfunction that interfered with their ability to exert self-control. Dr. Volkow, who was born in Mexico to the grandson of exiled Russian revolutionary Leon Trotsky, is therefore herself associated with a revolution. Perhaps more than anyone else, she is responsible for assembling the scientific evidence and, more recently as a government leader, in spreading the word about addiction as a brain disease. Although stigma persists, scientific knowledge is reducing it and making it possible to treat addiction more effectively than ever before. The discovery of addiction’s biological underpinnings is a superb example of the power of basic research (like that supported in many of the Foundation’s NARSAD grants), to bring about major change in ways that can’t be foreseen. At first, Dr. Volkow had been using PET scanning to look at limbic areas of the brain. The evidence of the scans focused her attention on the frontal cortex. “I always teach my students that you have to have the openness of mind to recognize the data the way it is, and to be prepared to admit it is not saying what you were initially expecting to find,” she says. 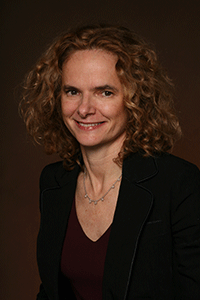 To date, Dr. Volkow’s research has been published in more than 600 scientific papers. It has taught us not only about the addicted brain, but also about how the healthy brain regulates itself. Her findings about addiction focused attention on the role of the chemical messenger dopamine, levels of which increase in the brain whenever we experience a reward. Dr. Volkow begins one paper with the simple statement: “Drugs of abuse (including alcohol) are inherently rewarding, which is why they are consumed.” That is, such substances activate our built-in brain reward system. It has become clear that all kinds of addictive substances, from alcohol to cocaine to methamphetamine to marijuana to nicotine, cause surges in dopamine in various brain areas. (In fact, an overlapping mechanism has been noted in morbidly obese people, who get their “high” from food.) But addiction has proven much more complicated than dopamine, and is now known to involve other neurotransmitters and other brain circuits as well. Close observation by Dr. Volkow and others has shown that ingestion of an addictive drug—for example, cocaine—does not itself drive addictive behavior. Instead, cues associated with drug taking—whether place, time of day, simultaneous ingestion of another stimulant, etc.—are what cause dopamine to spike in addicts’ brains. This makes the addict crave the next high. Surprisingly, then, it is the anticipation of the reward and not the drug itself, that, through behavioral conditioning, fuels the addict’s irrational behavior. As the leader of a government agency focusing on addiction, Dr. Nora Volkow constantly monitors the latest trends in how Americans are using and abusing addictive substances. She has written extensively on the danger of legalizing marijuana—in part because science shows that nine percent of all who ever try marijuana will become addicted. This figure rises to 17 percent if first use is during teen years. And like nicotine, marijuana has been shown to be a “gateway drug” in susceptible people. There is some evidence that when smoked in large quantities by young people at risk for psychosis and schizophrenia, marijuana can actually raise their risk and in some cases may trigger an early psychotic break. Although more research is needed, Dr. Volkow notes that one thing is certain: two addictive substances that are legal—nicotine and alcohol— already “cost us so much in terms of sickness and mortality” that there is reason to worry about legalizing yet another addictive substance. Dr. Volkow is also very worried about addiction to opioids— painkillers that are overprescribed, and drugs like heroin, which in recent years has been making an unwelcome comeback. And she casts a wary eye on the phenomenon of e-cigarettes, in part because the delivery device can be adapted to provide not only nicotine in dangerously high concentrations, but other drugs as well—notably, THC, the active ingredient in marijuana. “Marijuana with 12 to 20 percent THC is common nowadays, much stronger than in the past; but in e-cigarette cartridges, we have now seen concentrations greater than 90 percent,” she says. Dr. Volkow also is encouraged by progress in developing medications designed to block craving. Another treatment approach (which can also help trauma victims) is to find ways of erasing memories that generate cravings. In summary, Dr. Volkow noted that “right now three therapeutic approaches are not only feasible, but in practice and need to be brought to more people who can benefit from them: strengthening executive function to achieve better self-control; improving mood and decreasing sensitivity to stressful stimuli that often cause people to relapse; and providing alternative reinforcers—things a person enjoys doing that replace activities which used to provide the cues bound up with compulsive drug-taking. This protects against withdrawal symptoms and lessens the chance of relapsing into drug taking.